Advice Home > Medication > Can Taking An SSRI For Anxiety Help? Many people suffer from anxiety, and while therapies and coping methods are most effective sometimes being prescribed medication can make the problem much more bearable. SSRIs were introduced in the 1980s primarily to deal with depression. Their use has steadily skyrocketed since they have been found to be effective for a variety of different conditions. The term "SSRI" stands for Selective Serotonin Reuptake Inhibitor, and these drugs work by stopping the neurotransmitter serotonin from being reabsorbed by the body. Serotonin is used in the process that transfers brain messages between the nerves of the body and is strongly linked to mood. For anxiety, SSRIs work by helping clarify messages between the neurons. Serotonin is released across the synapse (the space between neurons) and is then absorbed by the next neuron with the message. If there is not enough serotonin only part of the message gets across, and the rest is lost meaning that it is either not interpreted at all or it is garbled. When there is enough serotonin available, this doesn't happen, and the body can better interpret what's going on. 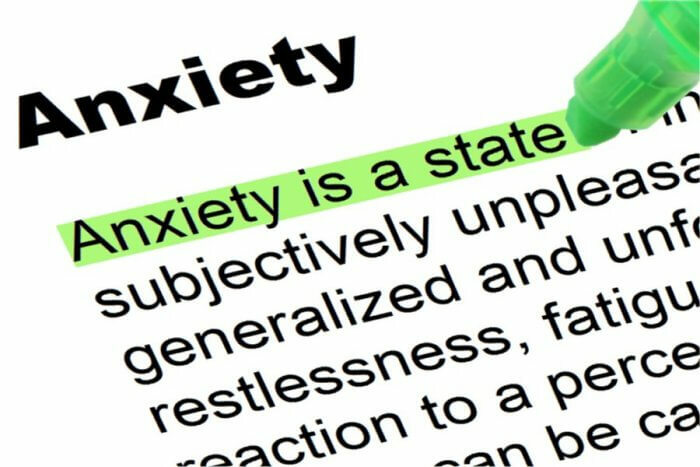 This is less likely to trigger a false "fight or flight" response which is what anxiety is. It takes approximately 4-6 weeks for SSRI medications to be fully effective and it can take up to 12 weeks before they are fully effective. Anxiety is a natural response within the body, and it is the most common mental illness in America. When we experience danger, our senses become hyper-aware to help us "survive" whatever the situation we've encountered is. The problem is that rarely do we experience a survival situation these days and our anxiety response becomes confused. In situations that are stressful or even ones that are not our bodies perceive danger and react accordingly (or so it thinks). For example, feeling nervous or anxious when you're going to speak at a big event or going in for a medical procedure is both understandable and normal, while having a panic attack because of being on an airplane is not. Having a fear about a thing or activity may not affect your daily life if you can avoid it, but if your life is being affected by anxiety, it's important to get treatment. Anxiety disorders do not simply "go away" and may even get worse without treatments to the point where they interfere in daily life. There are seven diagnosable purely anxiety disorders divided into three types and many more that are connected to obsessive behaviors, trauma, and substance issues. Not all of them will be suitable for SSRI medications and being diagnosed is only part of the problem since some medications may not be effective for you specifically. There are many anxiety quizzes available online to give you a basic understanding of anxiety if you think you have one of these disorders. Distinguishing an anxiety disorder means that your anxiety is extreme, exaggerated and often unrealistic when it comes to what should be a normal situation. 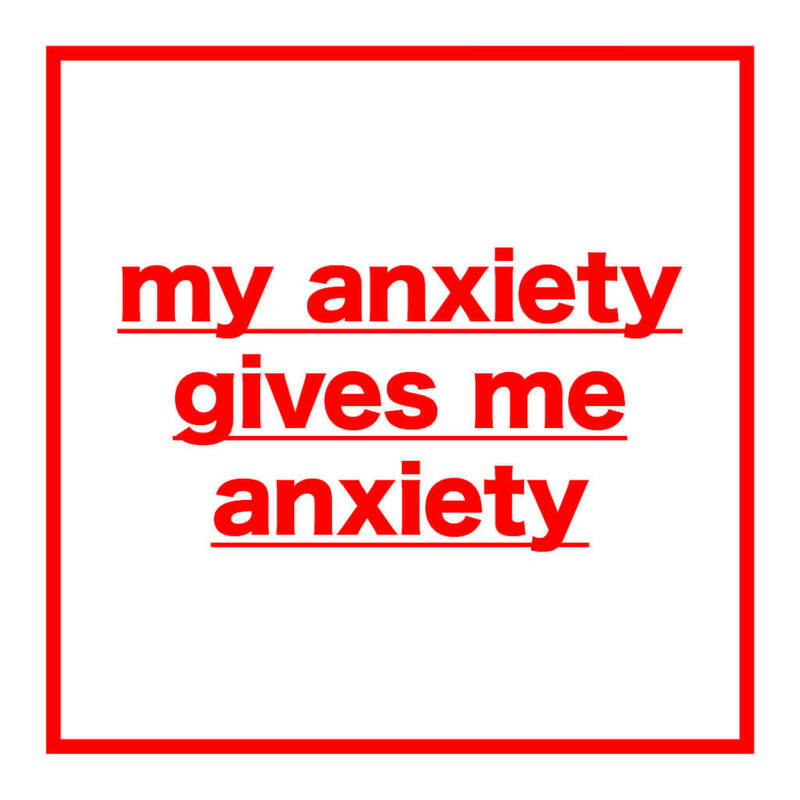 If you're struggling with symptoms of anxiety or you're encountering situations where your anxiety is affecting your ability to function it's important to seek help rather than trying to struggle with a situation that you may not talk yourself through even if others are coping well. SSRIs are an antidepressant that is commonly prescribed for anxiety because they are safe for many mental health conditions that also often come with anxiety. While patients may see a temporary worsening of symptoms or flu-like symptoms at first, this is limited and quickly passes. Compared to other choices SSRIs are better for long-term use in patients who do not react well to benzodiazepines. They do not have the dependency issues that benzo patients need to be monitored for and do not cause weight gain unlike other anxiety medications and have fewer side effects. The first choice of doctors is usually benzodiazepines to treat anxiety, but these can cause dependency and addiction issues. They are also risky for certain health conditions and may interact poorly with other medications as well as alcohol. SSRIs are usually a secondary choice but may be a better choice, especially if your anxiety is coupled with depression. This is used for depression and is the original SSRI, but it can be effective for social anxiety, OCD, generalized anxiety, and panic disorders. Research shows that it is well tolerated and may also be effective for PTSD. The main issue with Prozac is that it can cause insomnia and may also increase anxiety in some patients. 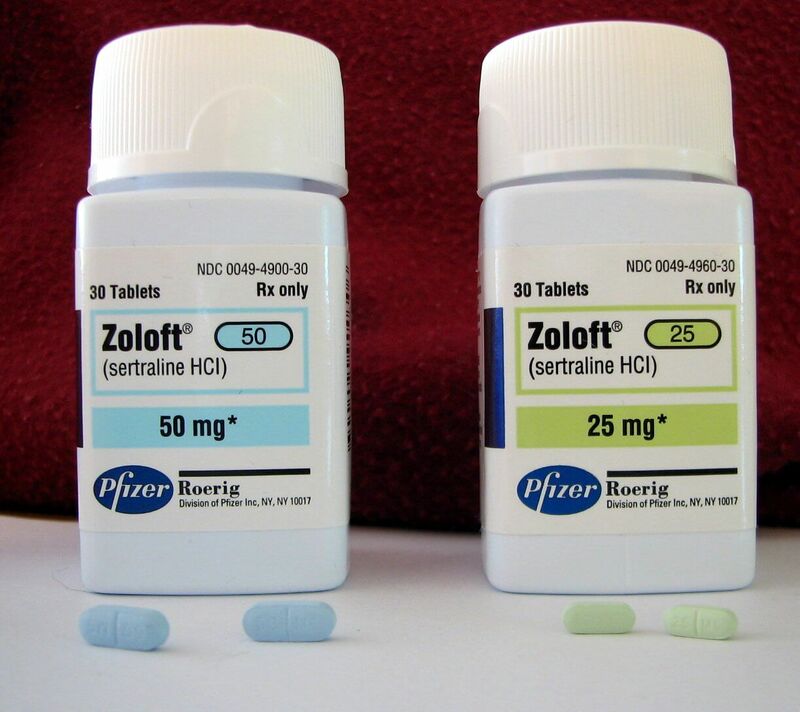 Similar to Prozac, Zoloft has a well-documented side effect of causing nervousness and agitation which can make anxiety worse. Usually, this is started as a very low dose that is gradually increased to a maximum of 80mg/day until the effects are seen or until side effects are pronounced, and then it is scaled back. It also causes insomnia but may also upset the digestive system and should be taken with food. Used mainly for panic disorders and social anxiety it has some limited benefits for PTSD, OCD, and depression. It can cause nausea, weight gain, and sleepiness. Celexa is prescribed for all the same conditions as other SSRI medications, but its side effects are much more pronounced with the digestive system. Unlike other SSRIs however, it has no sleep effects and should not be taken with alcohol as this can cause a depression in the respiratory system. Almost all SSRI medications for anxiety caused some form of sexual dysfunction in 70% of patients. They are prescription only drugs which can only be given by doctors and psychiatrists. Until recently it was common to prescribe SSRI medications for anxiety, but newer research shows that the average improvement is so slight that it almost matched placebo in trials. The large-scale study by Wayne State University published early in 2018 focused specifically on anxiety whereas previous studies focused on depression with anxiety and looked at both disorders concurrently. The benefits of the SSRIs were found to be less pronounced than most of the side-effects meaning that as a first choice treatment for anxiety SSRI medications are probably a poor choice. An interesting part of the results is that those patients given placebos experienced such similar results it's clear that the ingredients in the medication themselves may not be essential in treating anxiety. These patients still performed better than those given no medications despite not being given an SSRI in trials. It shows that any intervention, even when not medicated may have a positive effect on patients. Compared to taking an SSRI that may not produce significant results asides from side-effects this is something that patients should consider before resorting to SSRIs. What Are Other Treatment Options For Anxiety? Many things can cause anxiety but being able to calm your anxious mind is one of the easiest ways to deal with it. 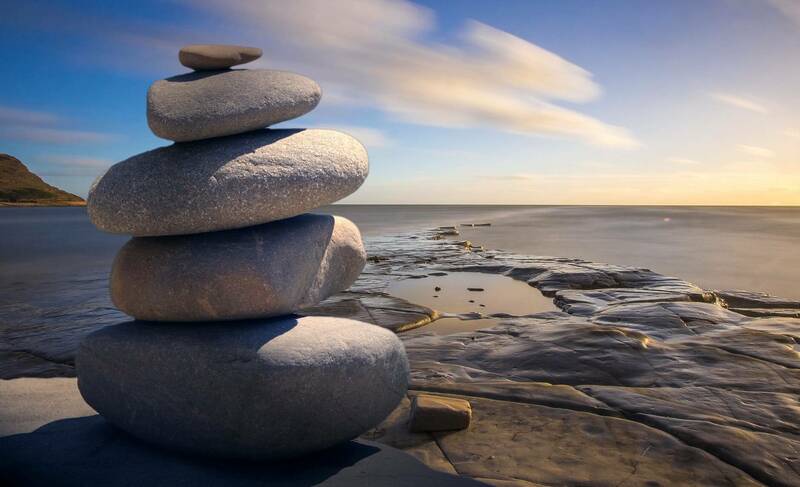 Meditation and grounding exercises are ideal because they don't require any special training or cost anything. Mindfulness meditation has been shown through various studies to be extremely effective in treating mood and anxiety disorders. Yoga may also help for the same reason as it is meditative. A study in 2016 suggested that writing or journaling can also be used to treat anxiety by giving the patient a way to think through the problem and make it more manageable. By putting thoughts onto paper the problem or danger is better understood, so the brain feels less threatened and anxious about the situation. This doesn't work for all types of anxiety, but for general anxiety disorder, it has shown to be effective. Cognitive behavioral therapies like exposure therapy have been shown to be especially effective. This type of therapy exposes a patient to the cause of their anxiety in controlled conditions and under the supervision of a therapist with the theory that over time they become less sensitive. These sessions are also paired with a clinical session to analyze the experience and discuss improvements or setbacks for between 5-20 weeks. This should not be done without a trained therapist as it can cause anxiety to worsen. Therapists can be found through sites like BetterHelp where you can specify ones with experience in anxiety and even exposure therapy. If you've tried other solutions to help your anxiety and are still having issues, then it may be time to seek medications. Therapists are not able to provide prescriptions for medications like SSRIs, so you'll need to see a doctor or psychiatrist to discuss the issue. Your therapist may suggest this concurrently with their attempts if your anxiety is severe. Using SSRIs for anxiety is a common solution, but if you're being treated with them and the side effects are outweighing the benefits, then it may be time to use a different approach. Talk with your healthcare provider about alternatives and different medications that may be better for you.